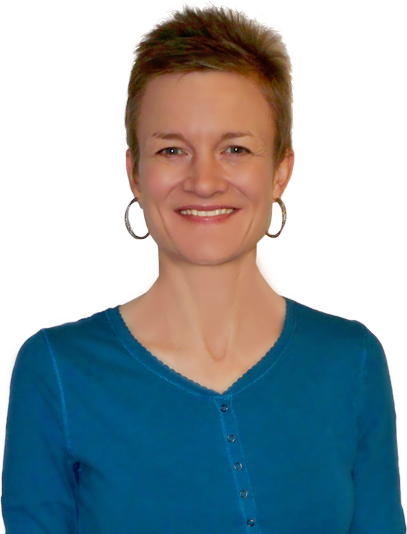 Are you suffering from “this–work–SO–ain’t–working–for–me” syndrome? Unfortunately, it’s a common ailment in today’s world. Maybe you like what you do and even who you work with, but, when you factor in ALL the aspects of your work, it just doesn’t add up for you. Even though career ennui is a miserable ailment to suffer from, the good news is that the reason you’re not loving your job is often quite clear when you think about it—lack of flexibility. You know the feeling: You need the money from your job to take care of your family, but because of how busy your job keeps you, you never have time to spend with your family. If you’d like to see your kids during the week for more than just 15 minutes at bedtime, or spend two hours walking your dog rather than behind the wheel, you need a cure. And if lack of flexibility is the cause, the cure is simple: a flexible job, of course! A remote job, also known as a telecommute job. In this position, you’re often a regular ol’ full-time employee clocking in from your home office (or the beach!). A part-time job with negotiable hours. A project-based job with a finite start and end date. You can often get the work done when and where you want to, and you can always take breaks between projects. A full-time job with flex hours. 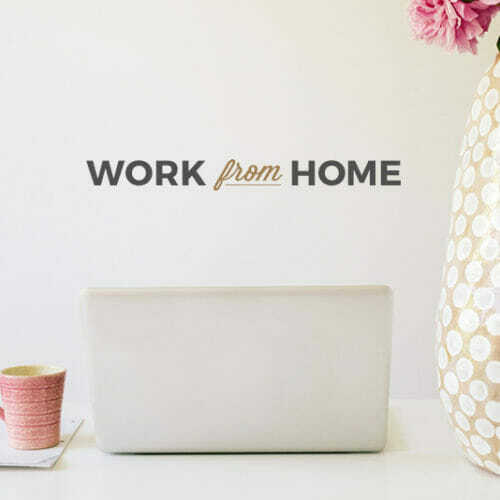 Think: you can work from home 2 days a week, or take Fridays off in the summer. Remote jobs, of course, allow you to work from anywhere—your home, the local library, a co-working space, or even the famous-from-the-memes hammock on a beach. It might sound too good to be true, but Skillcrush is living proof that remote jobs are real jobs. Our team members are spread across 7 different countries and our jobs run the gamut from part-time to project-based to full-time. Speaking of working hours, that’s another flexible option. Nowadays, you can do so many jobs regardless of the time of day. That means you could spend mornings at home with your little ones and work in the evening while the kiddos are with your partner. Or you could work Monday through Thursday and have Fridays off to help your best friend run their business or to visit your elderly parents a few hours away. Or you could get some breathing room in your life by taking on projects that last just a month, six months, or a year. As you finish each one, you can take some time off (if you plan your finances well) or dive into a new one. Nothing like some variety to keep it interesting! For me, a flexible job has let me do the work I love and still have a life I love. And, in fact, without the option to work remotely, I probably couldn’t even have a job like this since, instead of being in a major “tech hub,” I live in a tiny village in rural Finland. One of the most freeing aspects of a flexible job is the fact that you’re on your own. That means no boss peeking over your cubicle wall every half hour just to “check in” and, even better, no rice cake-crunching, One Direction-humming colleagues driving you to distraction. But with alone-time comes responsibility. Since there isn’t a manager directing your every move, you need to self-manage. And there are three particularly important soft skills to focus on for making yourself successful in a flexible job. When you aren’t in the same location, or you work different hours, or you change projects often, you lose those “unplanned” connections—a casual chat in the coffee room about the next product launch or hearing about your colleague’s amazing vacation in North Carolina while walking to a meeting together. In a flexible working situation, you need to work extra hard to create bonds with your co-workers whenever you can because, as you well know, getting along with your team can turn a good job into a great one. But be careful not to go too far! Just because working online, for example, means you can be in touch 24/7, not everyone wants to chat all the time. Be sensitive to schedules (especially on international teams…Hello, time zones!) as well as personalities. Maybe your designer is a Gchat lover but your marketing manager much prefers email. Try to get a sense of that and appeal to their styles. Finally, to make yourself a dream flexible employee, you need to be a proactive and decisive go-getter. Whether it’s because you’re in a different location or on a different shift, you won’t always be able to rely on your boss or even your team members to help you in a pinch. So, you have to be ready and willing to take action AND take responsibility for the results. No shrinking violets here, my dear! When you’re working independently, you also have to make sure you’re keeping everything under control and easily accessible. This is (again!) 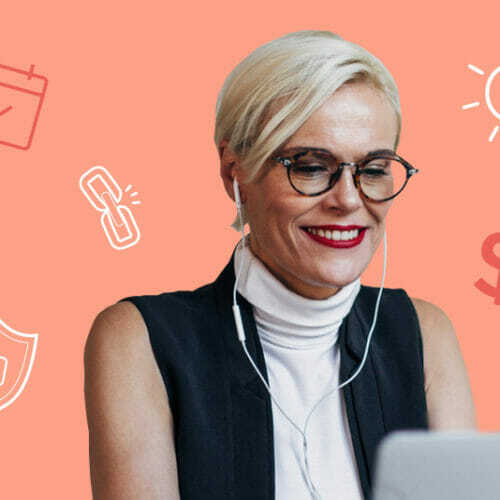 because you might not have an administrative assistant or office manager to remind you to straighten up your digital clutter and do your flexible working chores! Instead make sure you’ve got a handle on each of these tools of the trade. Being able to keep track of your to do’s and make sure you meet deadlines is key to being a successful flexible worker. Your company might provide you with a solution, but, often, it’s up to you to make sure you’re on top of it all. Be prepared before you land the job by trying out some task manager apps (Trello is one of my favorites!) in your own life. You’ll learn the basics and your mind will be free from having to remember to contact your accountant in January (NOT April) or order Mother’s Day flowers a week before (NOT a day before) the big day itself. Going beyond your personal responsibilities, you may need a tool for coordinating with your team on larger tasks or projects. Most project management software is based on the same principles as task managers. But project management software offers many more features to help keep everyone informed and all the information and schedules in one location. 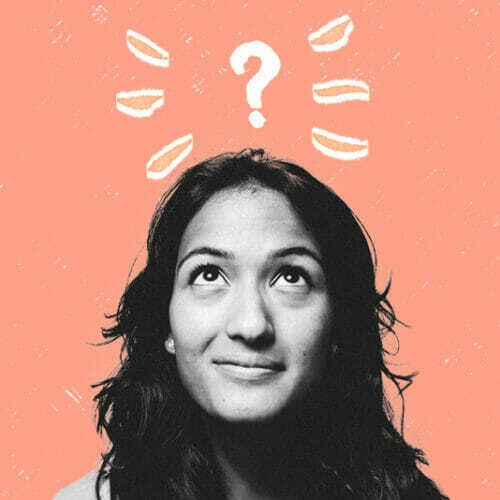 Popular systems include Asana, JIRA, and Basecamp, but knowledge of any system will give you a leg up when looking for flexible work. Virtually every company has gone digital with their data, and many have also turned to online, or cloud, storage. If you’ve used Google Drive or DropBox, then you’ve used cloud storage! And many companies use exactly those services for their business. So, start trying them out on your own, and you’ll be confident when you have to jump in and find some files or create a spreadsheet on the first day of your flexible job. Keeping your team filled in on what you’re doing and collaborating well is critical in any job. But, in a flexible working situation, your communication skills have to be extra sharp: the physical cues of body language, tone of voice, gestures, etc., are missing. Plus you’ll need to wield modern tools to your advantage, so review them here now. You can’t be a citizen of the 21st century and not be familiar with electronic mail, as it was called back in the day. But just knowing how to delete junk mail or send funny gif’s won’t cut it in remote work. (Although I AM a firm believer in the power of a cute Corgi photo when you need to make a co-worker smile.) You need to know how to write clear and concise messages that get your point across quickly and effectively. Need some help to get your emails read? Check out these research-based tips for writing emails that people read and respond to quickly. And, if keeping it short and sweet is a must with emails, it’s even more vital with the newest tool for flexible working groups, team chat. Team chat services are like private messaging rooms for your company. You can send quick messages to everyone, to certain groups (or rooms, as they’re often called), or to individuals. It reduces the amount of confusing email chains and serves as a virtual water cooler for many companies, with everyone logged in during the working day so conversations can get started easily. You can try out a team chat with Slack by checking out the groups set up by different interest groups at Chit Chats. Another modern communication tool at many flexible workplaces is known as video calling, video chatting, or video conferencing. If you’ve used apps like FaceTime, Skype, or Google Hangouts, you’ve got the idea. The difference in a work situation is of course that you have to keep it professional. Straighten up your surroundings, look presentable, cut out background noise, and focus on the task at hand. Take a look at these fantastic video calling tips to make sure you’re completely prepared for your calls once you’ve gone flexible. HTML, or HyperText Markup Language, is the language that gives webpages, websites, and even email newsletters their structure. So, when you know what to do with a div tag or how to insert a non-breaking space, you can wrangle web content, making yourself that much more powerful (and your boss that much happier). 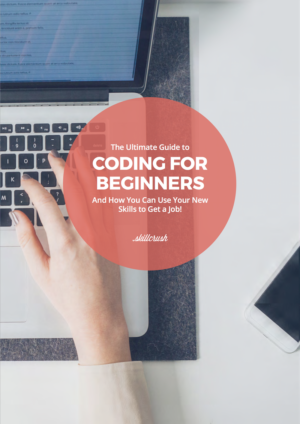 And, even in just a few short weeks, you can learn to code and launch your own website. Hmm… Cool, did-it-myself online portfolio = Awesome new flexible job! CSS, or Cascading Style Sheets, are the ying to HTML’s yang. CSS is the code you write to make HTML content look amazing. With it, you can change fonts and colors and margins – Oh my! You can just imagine how handy this is for making quick changes to your company’s blog posts or creating an email campaign that your customers are actually happy to see in their inbox. With HTML and CSS in your arsenal, you can dive into your employer’s CMS, or Content Management System. This is the what many companies and organizations use to get their digital content (articles, photos, videos, etc) on to the Internet. You might have already heard about the world’s most popular CMS, WordPress. Knowing how to create, edit, and publish materials with it will make you the hero of any flexible team. 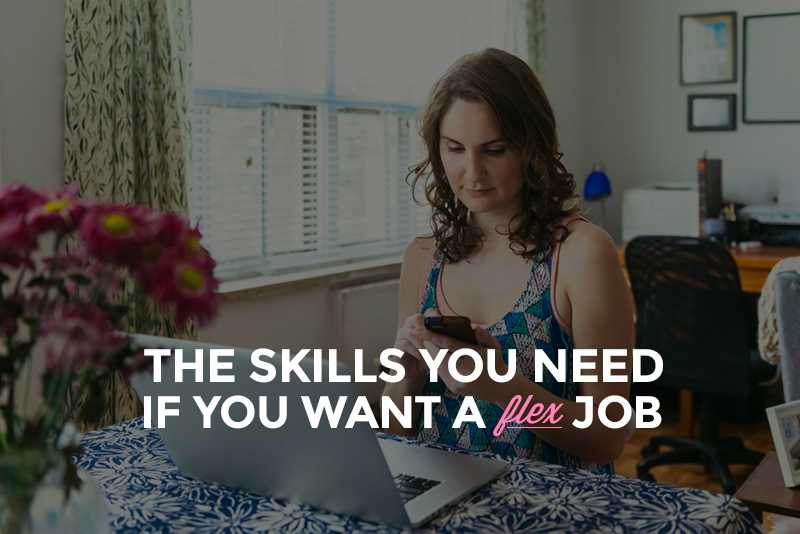 Now you have the lowdown on what a flexible job can be and what you need get one. And, if the kind of flexible work that you’re most interested in is remote, be sure to get your hands on the FREE Remote Job Interview Worksheet so you can get the interview skills you need to land your dream flexible job. 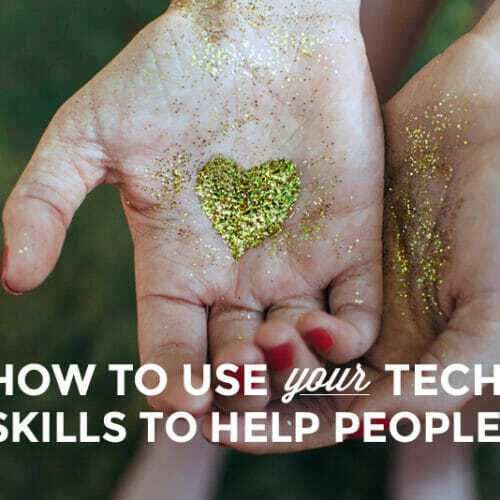 And you can get those all-important tech skills—like HTML, CSS, WordPress, and much much more—by joining a Skillcrush Career Blueprint. Before you know it, you’ll go from “not feeling it” to “loving it” with the freedom and fun of your new flexible career!